Added by Citizen Reporter on March 22, 2019. All legal issues. Nothing was disclosed to the public on outcomes. 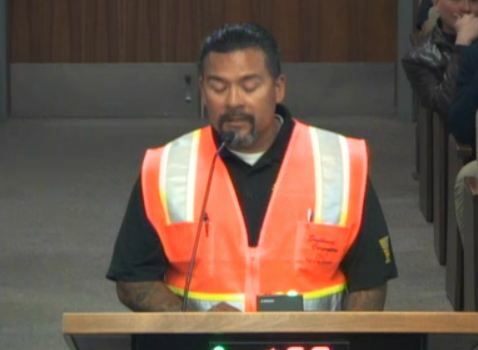 Mark Sandoval- Director – Channel Islands Harbor (a County position)- apologized for not coming before. He said there is a lack of public understanding on the Harbor Dept, which he plans to remedy with “The Harbor Academy,” which will cover history, finances, planning/development, harbor patrol, maintenance, marketing, boating center. and more. April 4 will be on planning and development. Conspicuously absent was any discussion of the heated dispute between the County and Oxnard on control of development of Channel Islands Harbor, which is in Oxnard city limits. Ray Bluetel- When was last Intelligent Transportation status report? Last year? Getting $100K/yr from Measure O for “equipment.” But 90% of master plan functionality already received. Deployment of adaptive traffic signal timing? If deployed, it is failing miserably. What is ITS doing with our $100K annually. Tim Flynn- $10MM spent on traffic signal system- 50% functional. Have received multiple complaints. Ray Martinez- Was homeless alcoholic for 3 years. Applied to be a homeless advocate. Have talked to many about resources for Homeless. He says that he’s with a Baptist ministry, too. Pat Brown- Criticized large truck traffic patterns, gave several examples of problems. Basua- Met w/National Assoc of Hispanic realtors. to facilitate affordable Housing. Met with SESPE consulting. Ramirez- Local government Commission conference in Yosemite climate change, housing, disaster, SIGMA groundwater act, homelessness. Governor pressuring cities to build housing. Chavez March. She met him when he was alive. Represent housing needs assessment for SCAG. State decides city/county housing quotas. MacDonald- Going to Regional Defense partnership, advocating Naval Base Ventura County. Also will meet on Halaco cleanup. 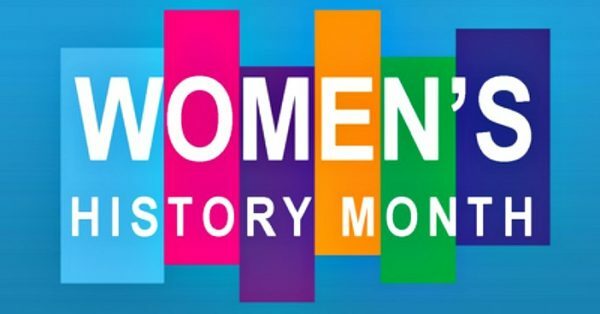 Perello-paid homage to women’s history month/women. Urged participation in Harbor Academy meeting. agrees on traffic light problem and truck traffic problems. Venture Regional Sanitation 830 at regional sanitation yard office. date? 4/4 Police officer of Year awards. Inter tribal pow-wow 4/17-18. Lopez- Cal Gisler Neighborhood Council mtg and Elm, St School ribbon cutting, firefighter of the year, League of Cities meeting. Flynn- Re; regional housing needs assessment. Will have to be implemented in 6 months. He is asked why do we continue to build housing when we have water shortage, traffic problems and residents are opposed. Answer: because state demands it and is toughening up under new governor, State will penalize for noncompliance. Every community needs a healthy balance between jobs and housing. 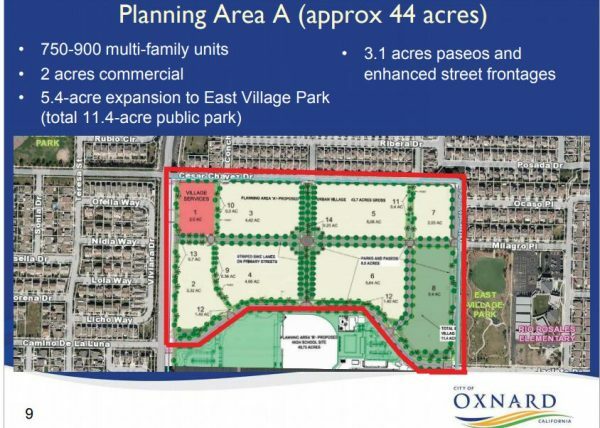 Oxnard has exceeded all other county cities in meeting various economic groups needs. Oxnard is most compliant in the county. Ventura County Council of Goverments plan must be implemented. Extolled Ramirez’s representation on council. Mac Donald wants to comment on K-3: Need to take a look at other sources of revenue, especially transient/hotel occupation. Approved 7-0 unanimously. (Consent agenda items are voted upon as a group without debate by default, unless items are specifically pulled for discussion by a council member). Click on K-1 minutes above for items detail. RECOMMENDATION: That the City Council review and provide preliminary comments on an updated request for pre-application review for the master planning of a 107 acres project site, known as “East Village Development Project” with residential, parks, high school with a Civic Center Act agreement, and commercial development. This 107 acre project was previously presented back in December. Much input was provided and incorporated. Now it is back a much more dense al multi-family residential unit project,. still with the high school, parks and proposed Maulhardt barn restoration. State mandates and Council preferences are forcing this. Council and public still have some concerns. Doug Spondello presented Parkstone materials and Jeffrey Weinstein presented HS District materials, The project is at Rose Ave and Camino del Sol, initially presented 12/18/19. They are responding to council comments on land use and district, park open spaces concept. East Village Phase III- “urban village.” would be all multi-family. low density residential and commercial development, 590 residential units, a 2300 (2500?) student school plus sports field (23 acres) and parks/open space. 750-900 units in another phase. There will be a civic center with the High School project at no cost to the city. Maulhardt barn and outbuildings will be preserved and a park will surround it,. 200 affordable housing units. Zoning changes, environmental review and planning required. Parkstone Companies-Mike Penrod, working with Maulhardt family, working closely with High School District. Much previous description about needed low cost housing. Had to make denser to keep costs down along an urban village concept. Was largely single family, good that we’re getting past that (will now be multi-family). Also, more demand for parks- which they have responded to. Need new traffic signals. Want to coordinate to do all grading, storm drains initially, at once. Want feedback on latest plans. Quimby fees will contribute to maintaining park. EIR (environmental review) will be done through the city. Anthony Mirillez- Local 535 business manager. We support this infill project and High School. Part of $350MMm bond project. Jeremy Turner- Union guy, supports project, relieves overcrowding, helps economically. Chuck Cohen- This is just the beginning of the process, very much in tune with it, worthwhile project, make certain it come sout in the nest way. Victor Gayardo- Good that local union men will work tis job, spend their money here, send their children to productive projects. Barbara Macri-Ortiz- Thanks to city and developer for a much improved project. Like s density increase and layout. One concern- SW corner dedicate to affordable housing- need economies of scale. Likes using schools facilities. Flynn- There is an April 1 deadline to apply for matching grants. He called upon Dist Supt. Penelope DeLeon to comment on hard deadline- what grants, what deadlines? Her answer: State facility grants are Prop 51 grants., with limited $ and a long waiting list. Need to get in queue with a secured property. Jeff Weinstein- how we calculate eligibility: factors in overcrowding, portable buildings in use, offsite improvements needed, such as roads? About $59-60 million involved. Flynn- Prop 51 money now exhausted. Also an overcrowding relief grant upcoming, this year’s process over, may start more in the fall. Weinstein disagreed that all Prop 51 money is spent- said there are billions in upcoming unsold bonds. Viarney- Supportive of the HS building. Still need more work. Remaining concern- area traffic is an issue. Perello- Support recommendation going forward. MacDonald- Wasn’t in favor of joint use agreement before. Is now. He was against it before he was for it. Now understands Civic Center agreement- comfortable with it, not perfect, but good, not overly burdensome to property owners. Ramirez- Tremendous progress, thanks. to staff, developer, school district. Developer responded to concerns. Desperately need housing, schools, jobs. Totally supportive. Water conservation an issue. Want affordable units integrated with regular units to avoid segregation. Why are personnel being laid off due to declining enrollment (vs assertion that enrollment is growing)? Basua- Thanks for doing research, understand rush to get in the queue, but concerned about transparency. Supports, but traffic is an issue. Not enough time to process all this information. Madrigal- Fully support. a lot of parents send their kids to other districts, even private schools, but come back in high school. Questions- no more commercial area? No, there is one in are the NW corner. Question- Night field lights are a big problem. Can you change layout? What time are lights on and off? Perello- do not support public funds for Maulhardt property restoration. Maulhardt property proposed for restoration, dating back to 1917. Flynn- Much of promised parkland is actually parking lots. Want more 3 acres more for total net gain of 12 acres. Want magnet program to attract health care employees/St. John’s (hospital) area. Only 40% of St John’s people live in Oxnard. Want them here. Want a STEAM program. Want people to come here because of the schools, not to stay away because of them. MacDonald- Barn has no foundation, dirt floor, not compliant, can’t meet building codes. Stop telling the school district what should be done (directed at Flynn, presumably). Maulhardts may walk away if we demand too much land. Flynn clarified that some of that was already granted and that he only wants two more acres. Not city’s job to determine how restoration would proceed. 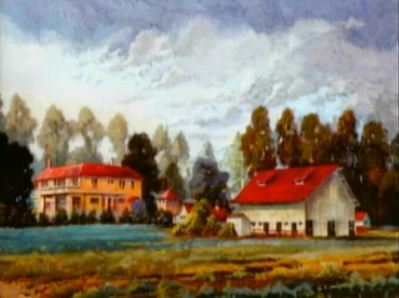 He used Adolfo Camarillo restoration/development as a model. Madrigal- what is new acreage at the cost of- what are you removing? Flynn- nothing. Said he isn’t negotiating, but “advocating.” Flynn thinks that extra density would handle it. Bottom line- just 2 acres requested. 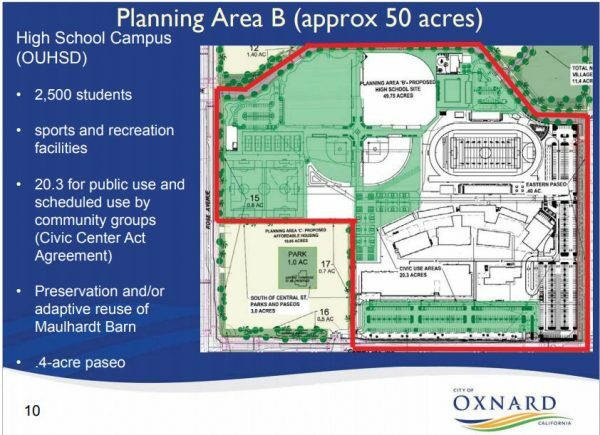 Most in Oxnard cannot provide transportation for the kids. Against this. Flynn- supposed to be a walkable community. Madrigal- I don;’t support it at all. Flynn: Thanks you for your support. Ramirez- support project, worth looking into how the barn can be supported . Viarney- we are not in a position to take on the barn restoration, but appreciate your work/views. Perello opposed to Flynn proposal additions. Feedback was given by Council and public, No vote was taken or necessary to accept progress on preliminary work. 2. The applicant’s request to pay the City’s in lieu affordable housing fee instead of constructing the affordable housing units on site. 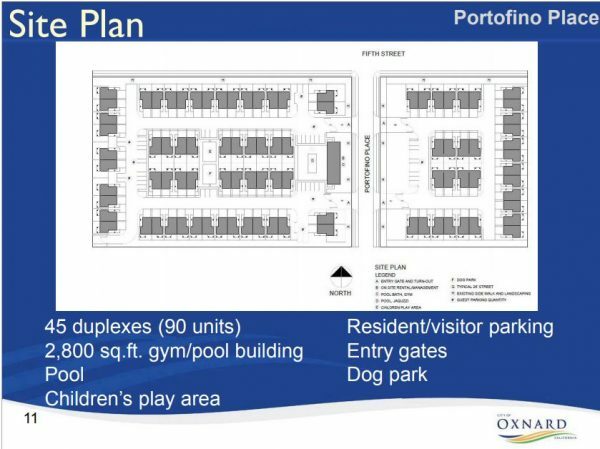 90 rental units, 2 and 3 bedrooms, 45 buildings, dog park, gym/pool, children’s play area, 5th and Portofino Place. Developer is proposing to pay a fee in lieu of building affordable housing on site. No formal application has yet been submitted. A previous approval was made for 41 single family homes and commercial development. Zoning is business/.research park. Directly across the street from Oxnard airport. Needs FAA risk assessment, zone changes.Needs several different reviews and approvals. 5 affordable units if rentals, 10 if owned. Fees are now $5,100/unit? Nguyen- introduced Mr. Figarilla, principal planner. Nguyen said that these fees have nothing to do with this project. City is extremely behind in updating our “absurdly low” fees. It’s on us to update them. Pat Brown- I remember Quimby and in lieu fees, which never covered enough to actually build affordable housing. Nothing has changed, still have this problem. Julie Miller Kolbacher- Having a hard time hearing some council members. Thought these wold be owned townhomes, not rentals, felt that she was misled. Promised fire gate left out. Traffic would go through their private HOA rods. Don’t want rental traffic. Barbara Macri-Ortiz- Oppose project- extremely low density for a rental project. Airport restriction is the tail wagging the dog. Developer asking for too many changes to code. Only way she would agree is to make it an ownership project them build 9 units for low income. Kate Eastender(? )- Represent developer- want to clarify somethings said. Intend to do fire gate. Why low density? Because of airport regulations. Re: rental vs ownership- sorry we didn’t make it clearer to HOA. Always intended it to be a rental project. Good place for a rental project. Roy Prince- Calling for Oxnard to step up quality of the architecture, This project looks like flat roofs- not attractive. Want City to hire an architect to look at designs. Many projects have poor architecture. Want more traditional, perhaps Spanish style red tile roofs. Bring in some more attractive projects. Perello- OIn Oxnard Airport Authority juriisdiction- Would like to discourage through traffic in speaker Miller’s neighborhood. Need to clarify to neighborhoods that this is a rental project. Fees inadequate to build low income housing. Pool proposed would not be public. Sewer, water and storm drain upgrades needed. No school cost impact included. MacDonald- Torn on this project. Would like for sale project with exclusionary model. How do we enforce (lower) density that airport requires? How come Camarillo Airport doesn’t seem to have the same building constraints? What about traffic/parking congestion? Try to mitigate this stuff. Not enthusiastic, but willing to explore- have some real concerns. Ramirez- In desperate need of affordable housing. Want that instead of in-lieu fees and want more density. Basua- Can we reject in lieu fees? Planner: Council can decide this. Mallory: Applicant requesting council feedback on this. Want low income, not in lieu fees. Madrigal- Don’t builders get money for building affordable housing? No. Mallory says there are amenities designed into the project. Need to have higher fees. Planner- Fire Department is on review board. Flynn- Appreciate Ms. Eastbender reaching out to interact with council, neighborhood. In lieu fee absolutely absurd- even $25K would be inadequate.Would like better architecture. He believes in infill projects, but can’t support one so close to the airport. Nguyen- no comments. Will fix city’s fees across the border. b. Oxnard Public Safety Managers’ Association (OPSMA). Aditioanl medical/”cafeteria” benefits to be competitive and keep out of PERS pension obligation calculations. Three fiscal years for Oxnard Peace Officers assoc. Those waiving medical coverage get about $300 difference (about $1500/month value). Will increase physical fitness program amount to $40,000. Add a 401A contribution of .9%. $4/hr callback. Perello wanted to know if there are any physical condition levels imposed. Flynn cut him off. Mr. Kolbacher- Basically supported Julie’s point. Oxnard is 3x lower than other cities. Oxnad rejected him for PD after he was in academy. Madrigal- this is much needed. Basua- Benefit package not as great as other cities, nice to make transition,but city is struggling. support 100%. Ramirez- Supports. Public should know more than just this contribution, but the whole package. Lack funding from state. Appreciate Dept. hiring so many local people. MacDonald- in Vta College criminal law liaison to academy. Six month commitment plus $7,00 equipment to attend academy (city pays 3/4 salary). Takes about a year to hire +6 mos + field training before becoming a fully functional police officer. We risk becoming a training ground and losing people after all that time and expense. I fully support, would lie to see us being even more competitive. Perello- I support this. But many in private sector don’t get this, even as they are paying for all this. Flynn- this is a meager increase, barely keeps up with inflation. Want to reward public safety, all city employees. Have a difficult situation- costs increasing faster than revenues. 80% of general fund is salaries and compensation- may require a workforce cutback. Ventura has 30-40% more revenue per capita than Oxnard does. We have highest rate of PD and FD calls in the county. Cutbacks stress employees, cut service. We are still on an unsustainable path. Ned to find a way to grow the revenue. RECOMMENDATION: That the City Council introduce an ordinance (read by title only, waiving further reading) amending Chapter 16, Divisions 11 – 15 of the Oxnard City Code pertaining to regulations governing land uses and development regulations for uses within the Business and Research Park, Limited Manufacturing, Light Manufacturing, Commercial Manufacturing, and Heavy Manufacturing zoning districts, and implement the Planning Commission’s recommendations. Mr Lambert, Director. Council initiate update in 2016, not reflect needs for industrial properties. Now clearer, reflective of how industrial properties are used today. Planner- Provide an efficient development process. No major update since 1964. Industrial zones updated. Went from text approach to a land use matrix, which should be easier, clearer to read/interpret. nusre consistency with 2030 general plan. Clarify non-industrial uses. Added commercial retail, cafes/restaurants in industrial areas. Barbara Macri-Ortiz- a lot easier to read. Thanks for change for farm worker housing. Support. Alex Castilla- Thanks for addressing farmworker housing. Jim Meany Commend Asidro, Kathleen, Director. 95% good. Need m-1, m-2 zoning outdoor storage. SA little too restrictive as written. Change special use permit to pd permit, over the counter. Otherwise could cost $15-20,000. Pleas extend, clean up this document. Pat Brown- Some areas on east side of Oxnard near Date Street have mixed industrial/housing. Move residents out of that area and make all industrial. Want an area for homeless in an industrial area far from downtown and industrial areas. Serve them food and all so they don’t have to go somewhere to irritate the general public. Dev. Director Lambert- Use planning permit OK. If main use is indoor, then Director level approval is good. Supports staff’s original recommendation. In other words, no to Mr. Meaney. Madrigal- great job, into 21st Century 19 years late. Perello- Re restrictions on land use near churches, homeless shelters. What does no mean? No restrictions to land use existed, so standards were introduced. Greater than 25% requires DDR approval- does that go with the land? You can revert to original use if originally allowed for. Flynn- re: storage- Planner- more than 25% requires a permit. Need DDR for more, if it’s accessory to the main use.